Students meeting the massage program admissions and financial requirements will be enrolled on a first-come-first-serve basis. When classes are filled, students will be placed on a waiting list. We ONLY accept a maximum of 16 STUDENTS per term. ** OSTMY is required to notify students that certain felony convictions would not allow them to be eligible for licensure. If a student is unsure they should contact the Clerk of Courts in the county where the offense occurred and request the disposition of the case. If you are unsure of the offenses that would keep you from obtaining a massage therapy license please contact FLORIDA STATUTES to look up by the statue number. When to Apply: Applicants are encouraged to apply at least one month prior to their desired class start date. This will allow adequate time to complete and submit all required documentations. Class sizes are limited and spots are reserved only when all required documentation is received. Complete and submit the OSTMY application online. Or schedule a time to come in and fill out the paper application at the school. Pay the $150.00 application fee in person or over the phone. Each application must include a copy of valid driver’s license or another form of government ID. Each application must include a copy of high school diploma or GED. Once the application is received, a personal interview with the school’s director will be scheduled to finish the enrollment process. Massage Program Application Fee – $150.00 (non-refundable) applies towards tuition. Tuition is based on a per clock hour charge. Student Insurance is included in tuition. Payment in full before 1st day of class. Payment of application fee, textbooks & supplies, and one half tuition upon enrollment ($2,920.00). A payment of the second half of tuition will be due at the half way point of the program. The monthly payment plans are available to those students unable to make full or half payments at the time of enrollment. All monthly payments will be due on the custom date agreed upon in the enrollment agreement. There is a $25.00 late fee after the 3rd day past your due date. OSTMY will consider weekly, biweekly, & monthly payments to accommodate each students needs. 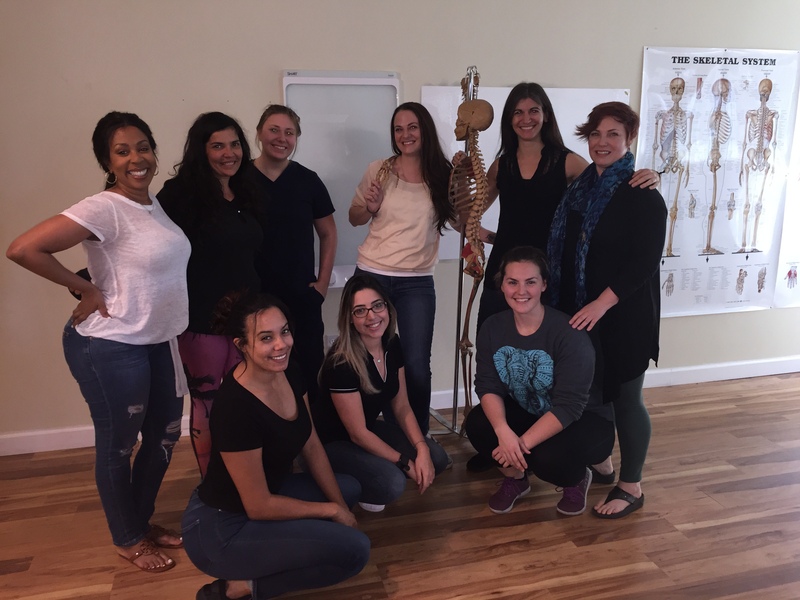 An Orlando School of Therapeutic Massage and Yoga, LLC Certificate of Completion and an Official Transcript will be awarded to the graduate when all academic and financial obligations are fulfilled. Cost of State Licensure is not included in the school tuition. Notification and request for refund must be submitted to the OSTMY Director in writing, either in person or by Certified Mail. All monies will be refunded if the student cancels within three (3) business days after signing the enrollment agreement and making the initial tuition payment. Cancellation after the third (3rd) Business Day, but before the first class, will result in a refund of all monies paid, with the exception of the application fee. Cancellation after attendance has begun, but prior to 40% completion of the program, will result in a prorated refund computed on the number of hours completed to the total program hours, with the exception of the application fee. The withdrawal date for refund computation purposes is the last date of actual attendance by the student.